As a sports medicine specialist with a degree in Kinesiology, Cannabis had never really played much of a part in my life. To be honest, I had always considered it more of a detriment to health than anything, and as such, pretty much avoided it. But in 2006, my health took a turn for the worse, and I soon found myself incapacitated and unable to work due to severe nausea, stomach pain, and panic attacks. I was subjected to years of tests, doctors visits, and specialists appointments without any answers or explanations for my symptoms, and all the while, my condition worsened. Things finally reached a tipping point after I had lost over 60 pounds, and the medications the doctors were prescribing had stopped working. A friend who had witnessed the pain I was going through gave me a few buds to try, hoping it would offer at least a little relief. That night I rolled my first joint, and amazingly, after just a couple small puffs, my appetite came back, my mood improved, my anxiety reduced, and I got a good nights sleep without medications for the first time in months. It was after this that I decided I needed to learn more about the therapeutic effects of Cannabis. My academic background in the health sciences allowed me to do my own research, and form my own opinions about this plant, without simply believing the propaganda spewed forth by our government. It wasn’t long before I was convinced that Cannabis was a more effective, and far safer alternative to the chemicals that I had been using to treat my symptoms. Early this year I was diagnosed with Crohn’s disease, and was granted a Canadian Medical Marijuana user’s and grower’s permit. Using Cannabis has significantly reduced my symptoms, allowed me to reduce and eliminate almost all of my medications, and has given me to the power to treat my disease in the best way that I see fit. I am now on a mission to find the best strains of Cannabis for treating Crohn’s, Coliitis, and other gastrointestinal diseases. Sites like this one have been invaluable to me in my search for the perfect medicinal strain, and user submitted reviews have largely influenced my seed selections. By growing my own organic Cannabis, and submitting my reviews on the various strains that I grow and breed, I hope to be able to help others in my situation identity the best medicine for their conditions and find relief from pain and discomfort. Thank you for the kind words my friend. Island Sweet Skunk may not be your best bet then because it is sativa dominant. I have isolated and bred a more indica dominant pheno that I use myself which, in my opinion, is a pretty even balance of indica/sativa. It’s very good. If you want the more sativa pheno, then BC Bud Depot, if you want the more balanced hybrid, then Next Generation Seeds. The strain that I find myself going back to time and time again is White Label Seeds Afghan Kush. This, in my opinion, is the best medicinal indica I have ever tried. I ended up selecting a pheno with extremely large and fat fan leaves, without a hint of sativa. This thing calms and relaxes better than any I’ve tried. I ended up femming my clone because It is so good I wanted to be sure I always have these genetics around in case I lose my clone. I am growing a Northern Lights #5..I need to know how to find out when it matures. This is the first time I have grown cannibus and just found out what strain the plant was..It is budding rather profusely and is being grown under lights..Do you have any ideas? There is plenty of info out there on how to tell when a plant reaches peak maturity. Google is your friend. Thanks I will keep an eye ut for those strains. Ive seen te norther lights but there r a lot of different ones. The other 2 idk never heard of them. UBC Chemo is a pretty famous strain here in BC, but hard to find anywhere else. It was developed at the University of British Columbia (my Alma Mater) and was clone only. There are very few original cuts of UBC Chemo still left (it was easy for me to obtain because I was in the health sciences at UBC for four years.) The one’s that remain in seed form were all hybridized with some other male at some point along the line. Matter of fact, it is, but it also depends on the certain area where one presides. I live in a urban area, where mainly the entire block grows, although in contrast, in a more rural or sub-urban neighborhood it may be more troubling to grow, since people from that area will see producing Marijuana a tad bit abnormal. The Police here don’t quite enforce law against Cannabis as in other states or countries, but some people aren’t meant to trusted, so I myself am inconspicuous. Cool post Buggins. I also have anxiety with panic disorder. Due t a chemical imbalance with adrenaline is what my phychaitrist said. , I know I spelled it wrong. Do you know any other strains that wont get your heart racing. That is first and foremost, next is strain selection. I dont have access to dispensaries here in BC, so the strains that I have tried are limited to those that I have grown myself – in other words, the list is a little short. What I can tell you is that the strains that never, no matter how much I smoke, cause any paranoia, anxiety, or panic attacks, are the pakistani chitral kush, northern lights, and ubc chemo. While I can only speak for myself, friends who have sampled my buds corroborate my findings. No paranoia, no raciness, very chill. That doesn’t mean that they aren’t potent, but it’s far more of a medical stone than a recreational high. Very red eyes, relaxed muscles, sleepy, hungry. Perfect meds in my opinion. Hope this was helpful to you. I tend to stick to pure indicas for anxiety. I have found the best to be Pakistan Chitral Kush (purple pheno), and Nothern Lights. Both nearly pure indica. The Romulan I grow works really well too, but its powerful so I have to dose less, otherwise too much can make me a little edgy. These are my top three for sure. None of these strains make me nervous, anxious or racey like sativas can. They have a very stoney effect, and work very well for anxiety, and a number of my other health concerns too. Thanks Buggins, yeah i heard it’s tough to grow in the snow? And it’s always worth it. Well not to brag but we manage to produce some great strains, and Canada has their own to be proud of. I was actually planning to visit. Maybe might even get my hands on one of your strains. Keep the growing pleasant, and the medicine wondrous. Most people think Canada is this barren frozen arctic tundra, which is not the case at all. Where I live in BC, our summers are consistently above 40 degrees Celsius (over 100f). The difference is we have very sharp contrast in seasons (less so on the coastline, like Vancouver). It can be challenging to grow outdoors here because fall tends to come overnight, and often times plants that are nearing their final weeks of flowering just stop growing due to the cold temps that roll-in quickly. However, plants that normally aren’t very colourful, can turn a stunning array of purples, reds, and oranges from the cooler temps. Outdoor growers here need to grow strains that finish quicker, or we just take them indoors to finish. If you end up in BC, try to track down a sample of UBC Chemo, and a good Romulan. These are both local strains that are absolutely killer. I know Canada is not just snow and winter, and I have heard from a few friends that it can be difficult to grow up in the Great White North. Still, the persistence and perseverance a grower put’s into their plants, shows. hehe Well face the opposite here, California weather is very spontaneous. It can be Death Valley Dry, to Antarctic cold in a week, yet we manage. Best thing to do is grow the plant outside under a blue/violet light. Then have it indoors as it matures with a red light. Works every time. Agreed, with the Indoor finish. I’ll make sure to, I’m heading out in a couple of weeks. I would also have to assume growing stealth in Cali is a little more of a challenge with the amount of people you have in your great state. In fact, you have more people in Cali, than we do in the whole of our country. What province(s) do you plan on visiting? 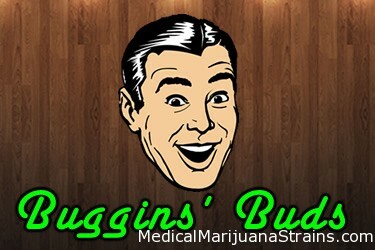 Can your strains be found in California Buggins? I’m pretty sure Romulan makes it’s way around Cali a little. I’ve had friends visit California and say they’ve seen it on dispensary menus here and there. Well I have had Northern Lights, Blueberry, and White Russian. Romulan? Hmm well I’ll make sure to sleuth around more. Thanks. you bet, best of luck on the hunt. I wish we had dispensaries up here in Canada like you cali cats have. If I want to sample a strain, I have to grow it. Long and arduous process, but worth the effort. Always on the search for those perfect meds. Currently I find my UBC Chemo to be the best for my Crohn’s disease. I get a lot of upper stomach pain and severe nausea which this strain really helps. Boosts my appetite quite a bit, and really helps me sleep too. The pakistan chitral – the purple pheno, seems to help a lot too, but without the sedation. Also, it would make sense that the chemo would be the best, it was specifically developed for nausea and pain at the University of British Columbia. It doesn’t look fancy, and it doesn’t smell or taste like anything spectacular, so it really doesn’t get much street cred as recreational weed. But as far as meds go, this one can’t be beat yet. At least in my experience.